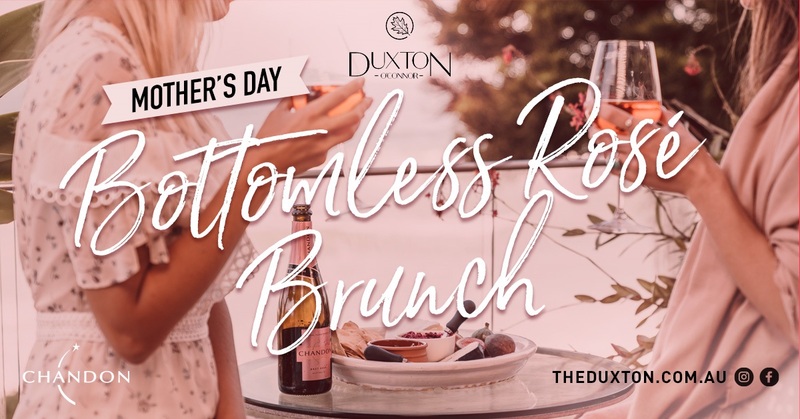 The Duxton has you covered this Mothers Day. To celebrate all of the wonderful mum’s out there, we will be hosting our successful monthly Bottomless Brunch for your nearest and dearest. On Sunday, 12 May from 10:30am in The Oak Room, we will be hosting a free-flowing brunch with entertainment and an endless supply of Chandon NV Rosé. Picture a Chandon Rosé Spritz on arrival and Bottomless Chandon NV Rosé with perfect eggs topped with hollandaise sauce to be enjoyed on Mothers Day. Tickets are $55 per person plus booking fee and includes a two hour brunch package of Bottomless Rosé and a brunch dish of your choosing from the menu. Get in quick to book your table for this event…it will sell out!